yesterday and today i spent a few hours wandering the streets and coffee shops of bucharest in the company of two wonderful dudes: an old friend, andrei pungovschi and a new friend, marko risovic from belgrade, serbia. 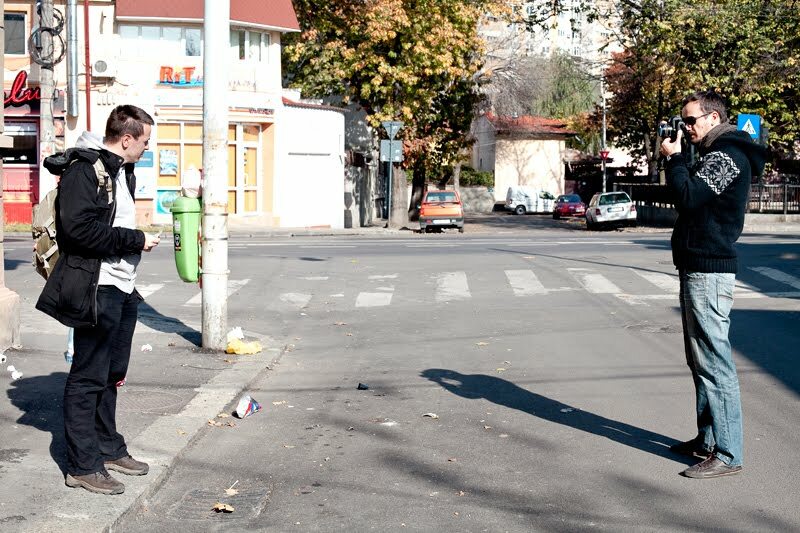 they're both currently working on long term photo projects - andrei's is focused on serbia and marko's on romania. andrei returned to bucharest yesterday after spending several weeks in serbia. at left andrei talks to his girlfirend bogdana while at right, marko tries on one of bogdana's hats. waiting for the taxi outside the building where andrei lives. it's been three months since i returned to romania after a three-year absence. and it's been quite a while since i posted an image on this blog. i've been taking lots of photographs in the mean time, but my pickiness, and sometimes my laziness, prevailed so far. i spent a lot of time with my old friends and made some new ones since i came back. one of these dear old friends of mine, bogdan stamatin, started a music band, along with alex bala, gabriela fierbinteanu and cristi fierbinteanu while i was away from romania. they named it replace. i just happened to be around when they were getting ready to release new songs and i and other friends got sucked into their project to promote their first music video. together we made four teasers: one for bogdan, one for alex, one for cristi, and one for gabriela. these teasers announce the band's first ever music video that we shot at the end of last week and was released earlier this week. it was fun, and i think we all learned a lot since this was a first for all of us. after the filming was over, i took a few pictures of the band members together. the one bellow is the one i like most. 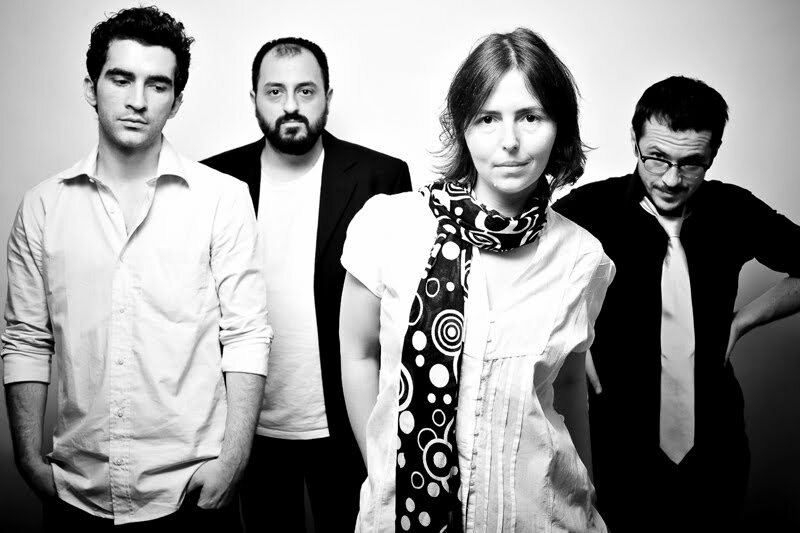 in this image, from left, alex bala, cristi fierbinteanu, gabriela fierbinteanu and bogdan stamatin.